Cardi B spoke to Variety who asked the breakout Bronx rap star different questions about projects she’s working on, as well as politics. Cardi talked about everything from Bernie Sanders, to K-Pop, to Nicki Minaj. 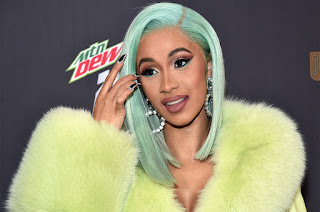 When asked about Nicki Minaj, mainly if she and Nicki Minaj would make up and make music together again, Cardi stared at the interviewer with a blank face and began to laugh.